If you have ever had the unfortunate task of removing vomit from your upholstery, you’ll love this video. This video is great. It shows you exactly how to remove vomit from your upholstery. Maybe you had an accident from a pet or a child, maybe they got sick. Whatever the case, follow these tips in this very informative video and you will be armed with the knowledge of removing vomit from your upholstery or furniture. 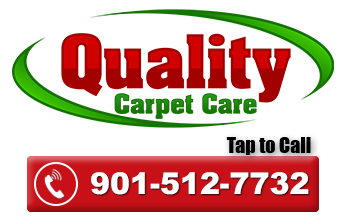 We wrote this blog post so… Memphis area residents can remove vomit on there and upholstery and we thought it would be helpful when it comes to upholstery cleaning in Memphis especially for someone that would perfer to do it thereselves instead of calling a Memphis upholstery cleaning professional. Start off by spraying water on the vomit to loosen it up. Then, use a spoon or scraper tool to remove as much of the vomit as possible. Here’s a great tip and one that i perfer, use a shop vac to extract as much of the vomit as possible. You are probably thinking this is a dirty job. But somebody has to do it right? Truth is… it is a dirty job. If you don’t think you can do this dirty job call your favorite Memphis upholstery cleaning company right away, they will be equipped to handle situations like this. Okay.. on to step two. Apply backing soda just like the video explains and let it sit for a couple of hours. Then vacuum off using a shop vacuum, or wet/dry vacuum. You can use backing soda to apply to the stain, but i perfer using a neutral spotter just like the one we give you with any upholstery cleaning job when you call us for a cleaning appointment. Clean and blot with a clean towel, blotting the stain. Do not rub or scrub as this might damage your upholstery.